Pre-emptive maneuvering in a lucrative segment. General Motors apparently isn't going to let early good reception for the redesigned Lincoln Navigator steal thunder from its own luxury SUV without a fight. It's offering a $5,000 discount on the purchase or lease of the Cadillac Escalade this month to any buyer who trades in a 1999 or newer Lincoln model, Bloomberg reports. 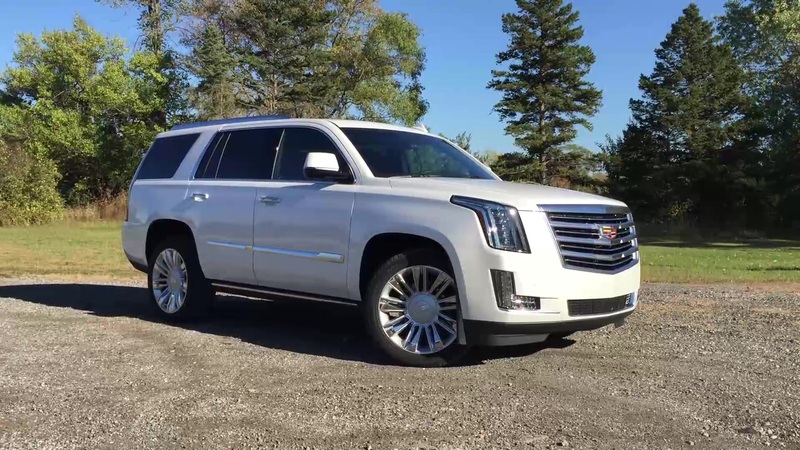 The Escalade was the top-selling domestic luxury SUV in October and No. 4 in the segment, according to Motor Intelligence. It far outsold the Navigator, which last saw a refresh in 2015 and a full redesign in 2007. But Ford is hoping to gain back some ground with the new Navigator and updated Expedition, which also trails the Chevrolet Tahoe and Chevy Suburban in its segment. Bloomberg notes that one Morgan Stanley analyst estimates that GM owns a $2 billion annual pretax profit edge in the lucrative luxury sport utility segment. Our recent First Drive review called the new Navigator "far superior to its primary competitor, the Cadillac Escalade."